Music therapy uses live, patient preferred music to address individualized goals. This may be accomplished through singing, instrument play, songwriting, and lyric analysis, among other musical interventions. Music therapy is provided by a board certified music therapist (MT-BC) who has completed an approved music therapy program. Christy Pinto, LPMT, MT-BC has been professionally practicing music therapy for the past seven years, working with a variety of individuals ranging from infants in a neonatal intensive care unit, to elderly persons in nursing homes and hospice. She completed an intensive six month internship at Lawnwood Regional Medical Center where she worked within all hospital units as well as the psychiatric and rehabilitation facilities. Her most recent clinical experience includes early intervention with children with cognitive and developmental delays. Prior to her professional practice, Christy earned a Bachelor of Music in Vocal Performance from Valdosta State University and Masters of Arts in Music Therapy from Texas Woman’s University. Christy is a board certified music therapist (MT-BC) and licensed to practice music therapy in the state of Georgia (LPMT). For Christy, singing and dancing came right along with walking and talking. Growing up, she was actively involved in choir, dance, and theater programs both in school and within the community. She continued to study music, dance, and theater as she earned her Bachelor of Music degree in Vocal Performance from Valdosta State University. Music made such a profound difference in her life, she decided that she wanted to use music to help others as well. Christy earned a Master of Arts degree in music therapy from Texas Women’s University, and the credential MT-BC (Board Certified Music Therapist). 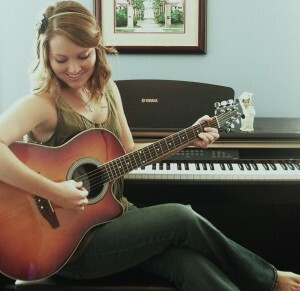 She also holds a license to practice music therapy in the state of Georgia. In her professional career as a music therapist, Christy has worked with persons of all ages, ranging from newborns in the NICU to older adults in nursing homes and hospice. As a music therapist, she uses music to accomplish non musical goals, such as cognitive development, communication, emotional and self expression, social skills, pain management, relaxation, and motor skills. She also is thrilled to be a part of the PPAC team as a vocal coach. She is honored to help train and shape the students at PPAC as they cultivate their love for the arts. Christy is excited to share in this adventure with her husband, Chris Pinto. Christy enjoys chasing after their two little boys, walking their dog Zoe, and spending time with family and friends.